The trouble is that color associations are too dependent on personal experience for colors to be linked to universally translatable emotional responses. That's not to say there aren’t patterns to how consumers respond to color. Just as color can trigger unconscious psychological connotations, it can also produce observable behavioral decisions. 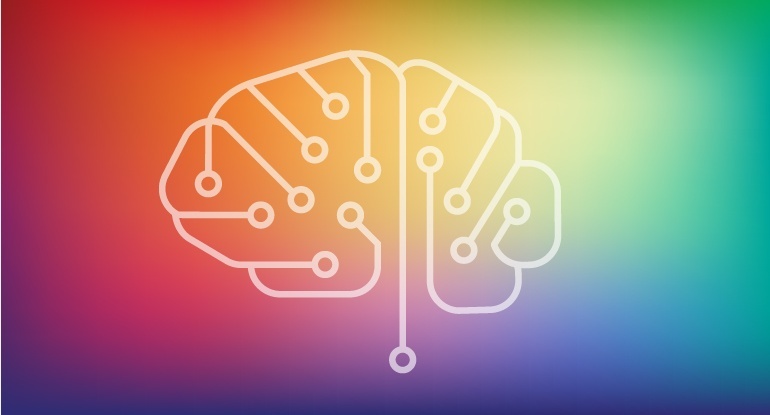 Since studies show that over 90% of consumers make decisions based on visual cues, it’s worth taking a closer look at how different colors influence our emotions and logic. The color of urgency and appetite, you’ll see red used frequently with fast-food chains and clearance sale signs. For brands that want to convey passion, red is a color that will raise the blood pressure and stir the heart. The hue most preferred by men, blue communicates peace and reliability—a favorite of financial and corporate brands looking to instill a sense of long-term trust. When we see green, we think of health and nature—no surprise there. Smart brands have learned to trade in on that sense of balance and harmony to promote everything from environmental concerns to sustainable wealth management. Associated with royalty and wisdom, purple stimulates the problem-solving and creative areas of the brain. A favorite among women, you’ll see purple used often with beauty and anti-aging brands. Use of these colors is truly dependent on context. For instance, both convey optimism and cheerfulness, making them effective at drawing attention for impulse buys and window displays. However, orange can indicate caution—so use sparingly to avoid inadvertently causing anxiety. Perhaps predictably, black is associated with strength and power, gray symbolizes timelessness and practicality, while white communicates purity and safety. However, a little of each goes a long way. Too much black can feel oppressive while too much gray may evoke aging and death. A healthy dose of white, on the other hand, offers other colors a chance to shine and can spark a sense of creativity—an emotional impulse Apple has exploited to incredible effect. There is no magical formula for creating a high-conversion color scheme. However, there are some key considerations to make to ensure your color selections are as impactful as possible. What colors fit your brand’s personality? Research indicates that the effects of color may hinge more on the “perceived appropriateness” of a color’s relationship to the brand than on the specific color(s) used. Colors dictate how consumers interpret a brand’s personality. The specific colors you choose aren’t as important as whether or not they fit the personality you’re attempting to cultivate for your brand. Which colors speak to your target audience? Studies show that color preferences vary across gender. While some colors are universally popular (blue, green, red), men tend to prefer shades (colors with black added) and women tend to prefer tints (colors with white added). Some preferences are unique to gender. For example, purple ranks as women’s second favorite color and doesn’t even register for men. When designing the color scheme for your brand and website, keep in mind the demographics of your audience. Your choices should appeal directly to your target consumer. Will your color choice set your brand apart? You want to pick a color that fits your brand’s personality and competitive market, but not so well that your color scheme matches that of every one of your competitors. Consumers prefer brands they recognize; you can’t be recognizable if you don’t stand out. Are you creating enough contrast? Beyond branding, you can use color to influence your customers by guiding them strategically through your website. As you design your site, use contrasting accents to signal what visitors should pay attention to and how they should progress through the site. Creating a consistent hierarchy of a background, base, and accent color can direct attention to key elements on a page and teach visitors which color indicates a call-to-action. Are you overusing certain colors? Ultimately, there are no one-size-fits-all prescriptions for using color effectively in branding and marketing. If there were, the brands that get it right wouldn’t be so iconic. What it comes down to is how the colors you choose work for the context of your brand and your audience. It may take a little testing to get it just right. So go out and experiment. Color is just one element to strong brand communication. 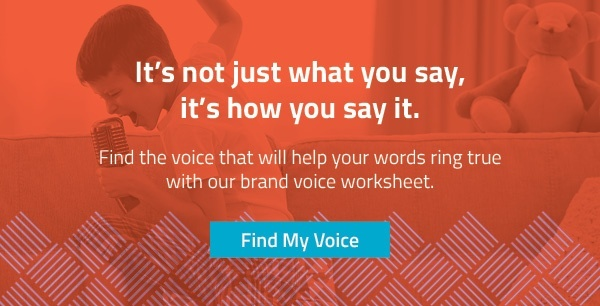 For more tips on how to truly make your marketing speak, download our FREE Brand Voice Worksheet.